I’m honored to have Justin Rhodes from Abundant Permaculture guest posting today. 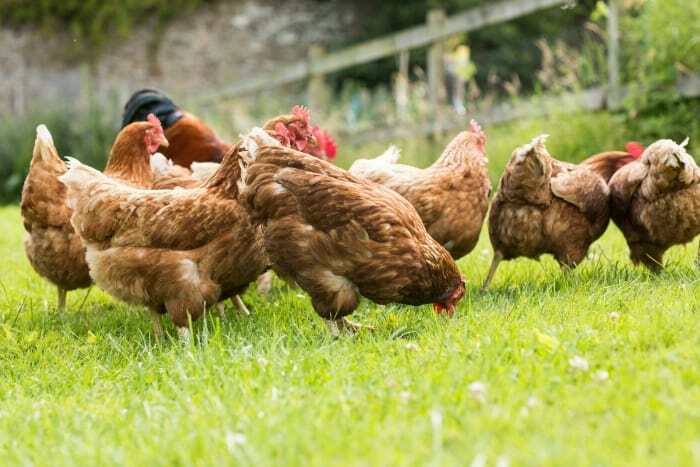 Justin is a wealth of information when it comes to sustainable chicken-keeping, and you’re going to love his tips for putting your flock to work in the garden. He is also currently in the thick of producing a documentary all about Permaculture Chickens. I’ve NEVER seen anything like this– this information has been so hard to find up until now, but Justin is making it easy to access. I’ve already donated to the Kickstarter campaign— I hope you will too! This is the kind of information that has the potential to really make a splash! I am continually blown away by the power of chickens in the garden! They’re such great workers, I would keep them even if couldn’t eat their eggs or meat. Plus, they reproduce themselves, unlike any man-made tool. 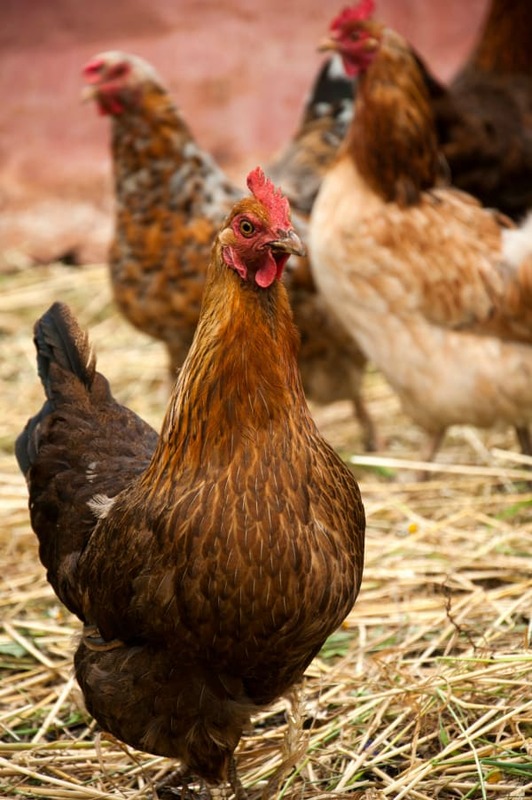 One chicken can produce eight pounds of manure a month according to Ohio State University. That’s about enough to compost one cubic yard of leaves! To make great compost, you need a carbon to nitrogen (C:N) ratio of about 30:1. Chicken manure is very rich in nitrogen and is rated at about (10:1). This means you won’t need much to balance it out with its readily available counterpart; carbon materials like leaves, hay or straw. Leaves for example, are rated at (47:1), so for every 1 pound of chicken manure, you’ll use 45 pounds of leaves! A little goes a long way with chickens manure! One chicken can till 50 square feet of established sod in just 4-6 weeks! Simple leave your flock in one place long enough! For small jobs, like individual garden beds, I suggest a chickens tractor suited for your particular garden design. For larger projects, I suggest mobile housing and temporary electric netting. Feel free to estimate your timing based on the size of you flock and garden plot on the 50 square foot per chicken statistic. One chicken can provide enough nitrogen fertilizer for a 50 square foot garden in a little more than a month. The chickens nitrogen levels in manure isn’t just great for compost, it’s the key ingredient to fertilizing our gardens. Based on the eight pounds one chicken will poop in a month, the average chicken will extract about a quarter pound a day! There’s 1.5% nitrogen in their manure, so that’s .004 of nitrogen a day. If we’re shooting for a solid .30 pounds of nitrogen every 100 square feet, it will take one chicken 75 days to fertilize a 100 square feet. It doesn’t sound like much, but it adds up quickly when you have multiple chickens. 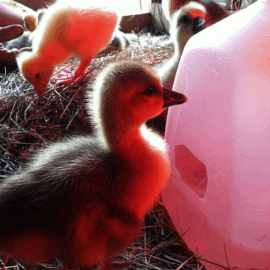 At this rate, 24 chickens could fertilize 1200 square feed of garden in just 6 weeks! 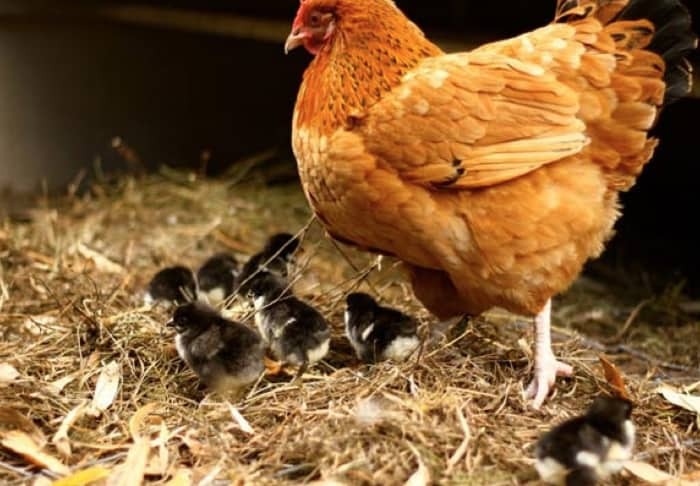 Confine your chickens to the area you want fertilized and figure their length of stay based on the size of the area and how many chickens you have. Be careful not to leave your chickens in one place too long (without mulching) as you can have too much of a good thing! 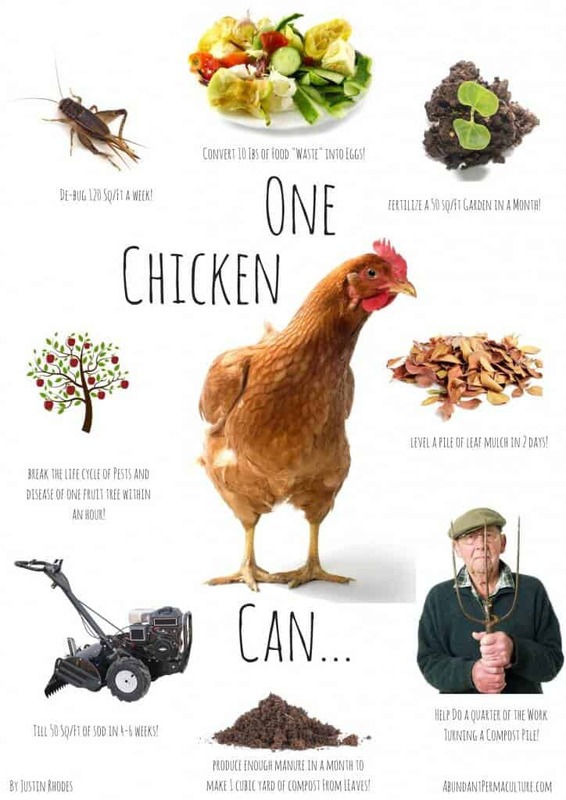 One chicken can help do a quarter of the work of turning a compost pile! In order for your compost to break down, it must get oxygen. The more air you give it, the quicker it will break down. Many gardeners make a habit of “turning” their entire compost pile regularly when they need some of the precious material quickly. Turning is a laborious job, but your chickens can do at least a quarter of the work for you. I estimate they’ll do a quarter of the work, because they won’t take down the entire pile and they certainly won’t re-stack it for you. However, they will take down a good chunk of it, and all you’ll have to do is turn what they left of the pile and re-assemble what they spread out. Assemble your compost pile and allow it time to heat up. If contains only fresh ingredients your chickens won’t show much interest. Once it’s warmed up and had time to start to decompose it will be swarming with life! If you need to protect your pile while it heats up, you can put it in protected bin, temporarily fence it off, or keep it covered. Once it’s had time to heat, your chickens will show great interest in the live biota that now makes up the pile. Later, you’ll come back and re-assemble the pile. I re-assembly and turn the piles once a week and within 4 weeks I have finished compost. One chicken can level a large pile of leaf mulch within two days. Chickens can level a pile in no time. If I want to spread mulch or compost, I just pile the material where I need it spread and fence in my chickens around it. My flock of 30 can easily spread a large pile of leaves in a half a day, and one cubic yard of compost within two weeks! 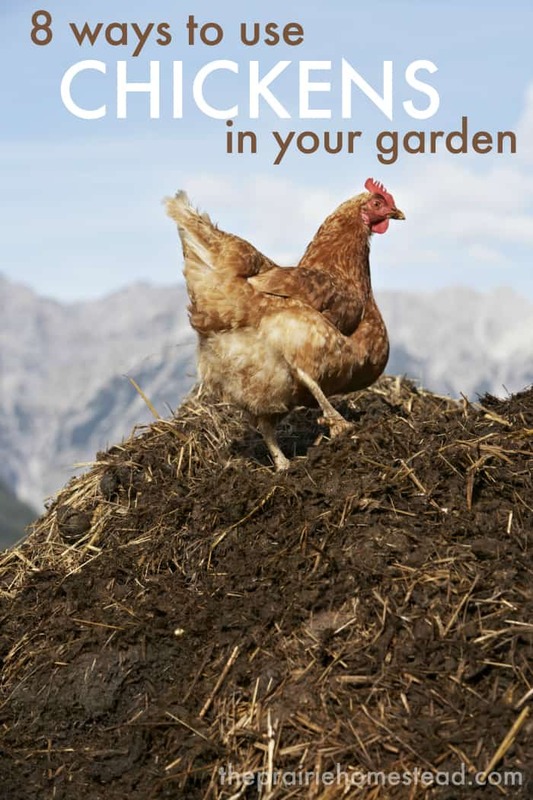 Confine your chickens around a pile of mulch or compost where you want it spread. Leave them until the work is done! Time to spread will depend on size of pile, material, and age of material. Older material will have more biota and the chickens will show more interest. If your chickens aren’t showing interest in a pile you need spread (like fresh wood chips), try spreading their feed on the pile, so they have to scratch for it. One chicken can convert up to pounds of food “waste” a month into fresh eggs and meat! Collect your food scrap in a food grade container or bucket. Chickens will eat practically any type of food your throwing out, including meat. If your not sure it’s safe for you chicken, try it and see what they do. I believe they have the sense to know whether it’s good for them or bad. You can clean up what they won’t eat or let it decompose where it’s at. One chicken can easily de-bug up to 120 square feet a week! 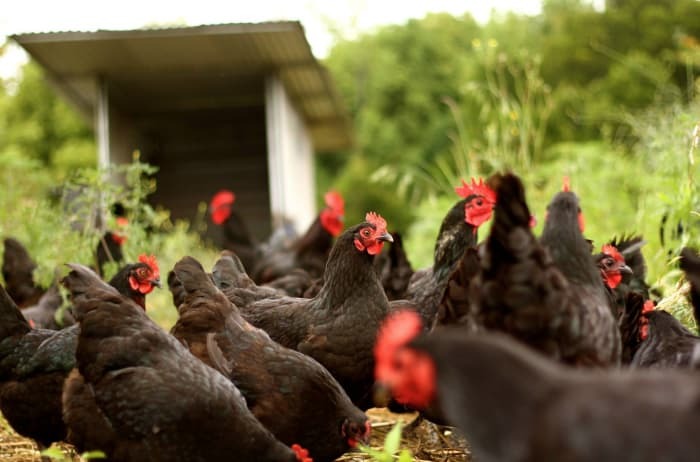 Chickens will thrive on all kinds of insects, beetles and grubs. They’ll snap up pretty much any thing that moves above the surface and they’ll scratch down more than six inches in garden mulch for grubs! A couple of years ago, I moved a flock of 15 around the pasture in 1700 square feet of mobile electric netting. Those birds easily eliminated the bug population in that area within a weeks time. There are several options here. Before you plant the garden, you could confine your chickens in a tractor or with electric net over the area, then move them out when you start your garden. You could also free range your birds, while protecting your garden and other areas you don’t want them. I’ve heard of folks fencing the chickens around the entire garden. This would work to protect the garden from any crawling insects and the chicken manure might attract harmful slugs out of the garden, to the chickens. You could also move the chickens around the garden or property with a tractor or mobile netting depending the size of your operation. Finally, you can allow them supervised time in the garden or give them in 30 minutes to an hour before dusk. That way they’ll have just enough time to get at the bugs, and they won’t have any time left for your goodies! One chicken can de-bug an entire fruit tree within an hour, breaking the life cycle of pests and disease. 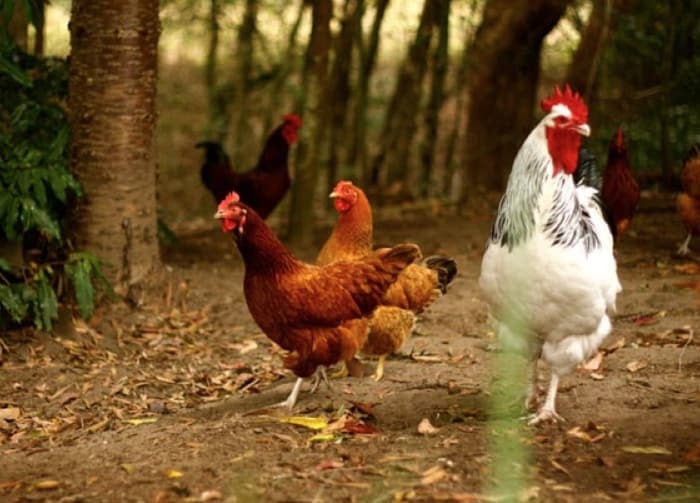 Disease and insect problems plague your typical orchard, but it should come by no surprise that the that the chickens can help in this area too. With some strategic timing, chickens can significantly boost orchard production! Two years ago some of my friends ran their flock through my granny’s abandoned/low production orchard. That next summer, we harvested so many apples, we’re still enjoying the applesauce! Typical fruit trees don’t need a lot of nitrogen so you’ll wanted to limit the birds time around them and use some strategically timed planning. I suggest running the chickens through during the spring when the adult worms are coming out to lay their eggs. I would run the flock through again in the Autumn to eat the fallen fruit that that insects might use as housing throughout the winter. Don’t forget to head over and check out the upcoming Permaculture Chickens film— I’m stoked to be a part of this project by donating, and am counting down the days until it’s released. 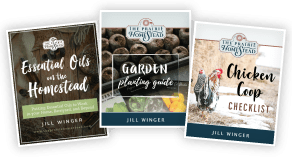 This is just the kind of information we need more of to empower more people towards homesteading and self-sufficient living. Once Justin discovered self sustainable farming around 2004, he has enjoyed many years of practicing “beyond organic” and permaculture methods on his 4th generation, 75 acre, family farm near Asheville NC. Justin trained under the highly accredited Geoff Lawton of PRI Australia for his Permaculture Design Certificate (PDC) and has trained under popular authors Joel Salatin and Pat Foremen. 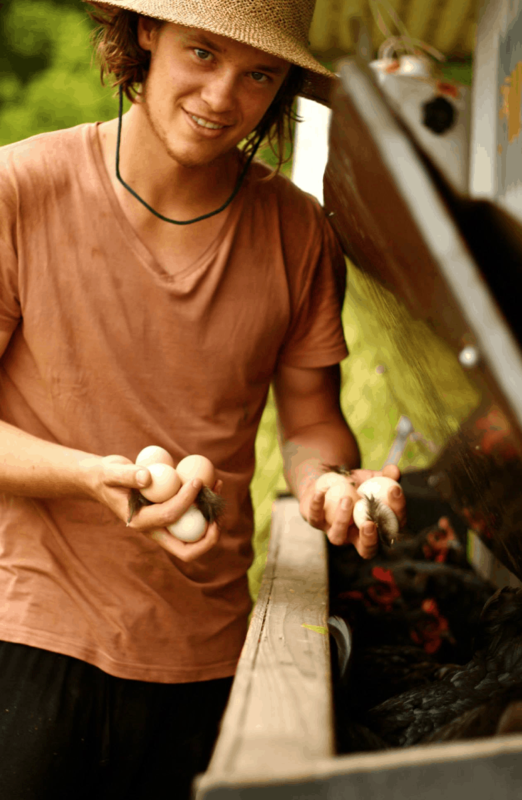 He’s passionate about teaching from his own homestead on the chicken systems essential to more sustainable living. With a great combination of business and permaculture skills, Justin is well positioned to deliver high quality educational films of this nature. Thanks for posting this, Jill! I’m here to answer any questions…. Thanks for popping in Justin! Hello just read this article we have 4 chickens in our garden. People who are taking care of the chickens want them to stay in their small pen. I am a master composter who would like the chicken to maintain the compost. They fear a hawk will take them, chicks will destroy the garden, afraid they will peck people in the garden and other reasons. I have assured them this will not happen. 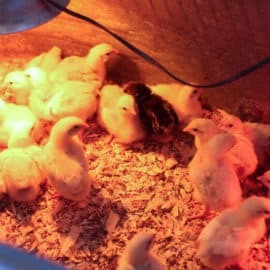 Do you have an advice how I can convince this team (who have no experience with chickens I have due to working on farms upstate ny) to let the chickens do their job? They only feed them feed which I have explained it is not healthy for then. Any advice you can give would be appreciated. Oops. Thanks BW. You’re right. Great post. Thanx for all the great info. We just moved to our farm last May and there is so much we want to do but time and money are limited. We have 12 chickens and I put six per day in the chicken tractor in our garden space. After reading this I want to just let them all wander around….would need some fencing though. We also have an orchard so we will have to let them help us there as well. Sounds like you have a great set up. I’m glad you enjoyed the article! This article is so well written and beneficial to a home gardener like myself who has a flock of chickens. I purchased my chickens not just for the eggs, but also for all the great things they can do in my 5000 sqft garden. Fantastic post! 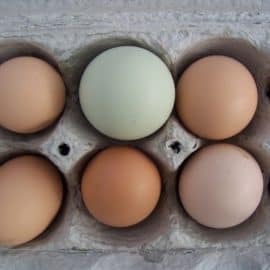 I look forward to adding these to my list of things my chickens can do around our place, to help increase production, and decrease chemicals. Love my chickens! Thanks for posting this! In regards to protecting my garden from the chickens…Do chickens prefer young sprouts, or when a little older, are they going to eat all my snap peas, green beans, and tomatos when they bloom, or little buds, or right when they are ripening and almost ready to pick. When do I need to keep an eye on my garden? How do I let the chickens come eat all the bugs but stay away from my food I am growing? I have 2 ft. fencing around the garden and it keeps them out now, but I am afraid the veggies will be too irresistable once they look bright and juicy. Never mind…after re-reading I realize I must have skimmed number 7. 1. 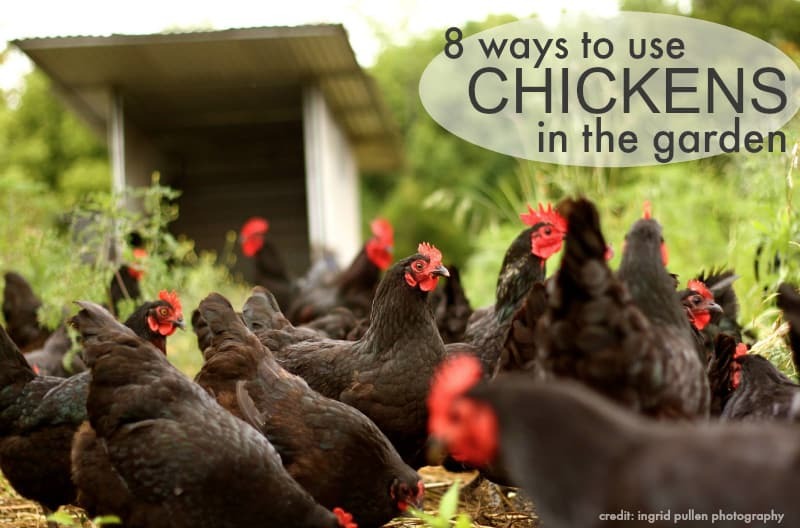 Allow the chickens in the garden a half hour to an hour before they go to their coop. They’ll go in for a little bit and naturally leave around dusk to go home. 2. Supervised visits. If you have a small garden and/or small flock you could do supervised visits for short periods of times. That means you stand there and protect your goodies. 3. If you have a small garden, you could actually protect your individual plants with chicken wire or something similar. That way your chickens can have access all the time and would even help you with the weeds. – Chickens want the garden bugs more than they want the garden produce. The key here, is only giving them enough time to get the bugs. If you leave them in too long they get all the bugs and start for the veggies. – This is not something you have to do everyday. I’d say it’s better to do this weekly, or as needed. -Young plants and young gardens are especially vulnerable to chickens. It’s also possible that the young plants haven’t yet attracted the bugs. Be extra careful when letting chickens near the young plants. Chickens got rid of our grubs and therefore moles. Took them one Spring, and they also ate most of the dandelions. My friend who raises llamas & alpacas uses a flock of chickens for parasite control. The birds climb all over the manure pile, eating every crawly thing, and so she has lower parasite pressure in her herd, as well as almost no flies around the farm. Eggs are a bonus. You’re right. They are most excellent for pest control and sanitation of the pasture! Also, in terms of feeding them food scraps, we usually end up with coffee grounds in our food scraps- are these harmful for chickens? We’d ideally compost them, but then it sounds like between the coffee grounds and the chicken manure the soil might be WAY too unbalanced. Hrmmm….Thanks! They actually like the bugs more than the produce, so the timed visits allows them to wipe out the bugs and then the session is over before they look to the veggies. Sure, they may get some veggies along the way. Then you’ll have to count your costs. 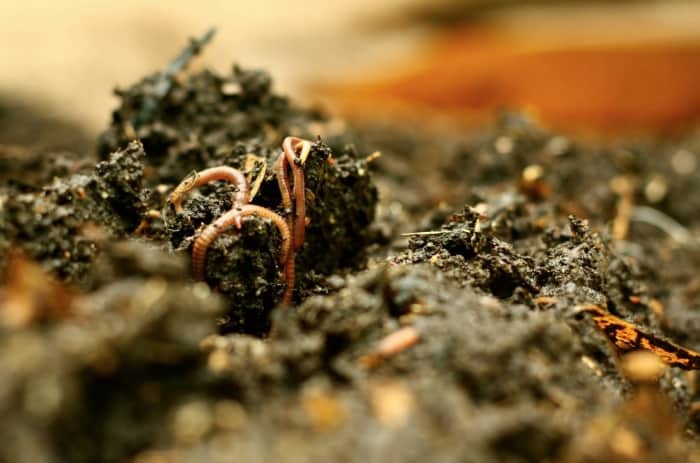 If you have a tiny garden, it might not be worth the risk. But if you have a bunch of tomatoes say, you won’t mind if the chicken gets one or two of them. About the food scraps. I believe a chicken won’t eat much of what’s harmful for them. You can see if they like it. With coffee grinds, you’ll notice they’ll probably limit themselves. You’re right about the soil too. Too much of a good thing can be bad. It’s a trial and error and you could also get yearly soil tests done. Our family has been gardening with chickens since I was a kid. We didn’t have any particular program like the article recommends, though. We just let our chickens, as well as a duck or two, or a goose work along us as we were digging up the soil, weeding, watering, etc. They would stay close to us awaiting the next shovel full of dirt to be turned, and attack the grubs, weed seeds, beetles, (and even earthworms) with gusto, scratching as they went. We had so many earthworms that the few they took were of little consequence. Once the ground was planted, no more chickens in the garden, but their pens were bordering it, so they still did their work keeping the crawling insects at bay. During the growing period, we would throw the weeds and vegetable trimmings over the fence to them, much to their delight. We also used rabbits to help with the gardening. My mother made ‘worm beds’ under their cages where the earthworms flourished with the constant supply of bunny manure and urine. They, too, were often given time in the garden prior to planting. They loved digging weeds up by the roots (which is the part they love the most), and would even play with them. They’d throw the weeds up in the air and then fetch them to do it all over again. We also fed the rabbits trimmings from the garden and weeds with roots on. The chicken manure went back into the garden along with plenty of the worm castings and rabbit manure. As I said, we had no formula for the way we did it, but we had amazing vegetable gardens back in the old days. I’ve done likewise in some of my smaller gardens since and it works like a charm and in a very short time will turn a ‘dead garden’ space where almost nothing would grow into dark, rich, fertile soil. When I’ve had horses, keeping up with the manure was a challenge until I read an article about digging open trenches in the garden area, and filling them with the horse manure (chicken manure, cow, and rabbit, as well) all winter long. When a section was full, a layer of soil would go over the top. By spring, it was all composted and ready for a new growing season. The next winter, the areas between the trenched planting spots would become the trenches and last year’s trenches would become the foot paths. These trenches rarely required any digging at all. The chickens dug down deep enough with their scratching to till the soft soil just prior to planting. Pretty simple, and no manure smells; just nice, rich earth odors. Everything was used and virtually no time spent even making compost. Mom did throw the egg shells and coffee grounds into the trenches, though. I just think of it as the lazy gardener’s method for having an organic garden. Great tips Diana– thanks for sharing! We are getting ready to order chicks for the spring but we are concerned. In our area (mid western Illinois, between the Mississippi and the Illinois rivers) in the summer time we have a terrible problem with a relatively new bug locally called the “buffalo gnat”. I do not know what the real name is but it is quite a pest. I’ve heard local farmers state that they will fly up the chicken nostrils, bite them and the swelling causes the chickens to not be able to breathe and they die. These terrible gnats bite humans as well and leave horrible welts. Would you have any tips or thoughts on how to keep our flock healthy and away from these creatures? We had hoped to free range our birds but other farmers had to quit that and pen them up and place large fans in the coops to deter the gnats. Any advice would be appreciated. I believe the best thing you can do hear and encourage good health in your chickens. When that’s the case their immune systems are strong and they have amazing abilities to stay healthy. 7. Or even better moveable pins that get fresh grass every day! 8. Live feeds! 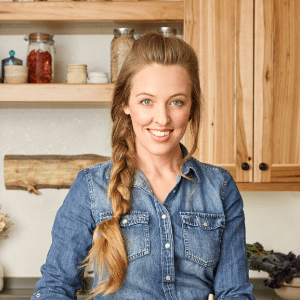 Grains are ok, but providing live feeds like bugs, worms, sprouted seeds, wild seeds, weeds, food scraps…. Justin- you, like Jill, make our dreams seem attainable & possible. It’s nice to have succinct facts & numbers like you have gathered. The plain & simple data is amazing. It makes the work we are doing now to get there a lot less tedious. Thank you for that. I’m glad I could help Beth! Just stumbled onto your website. Thank you so much for all the information here! We love our chickens! We have a year round garden and just “gate” the area with chicken wire to keep the chickens out. We move our garden area every planting so the chickens have plenty of time to work the bare areas. And a tip for those of you with neighbors, co-workers and friends .. .they can share their scraps with you also! I have an area outside of my office for people to dump whatever they want. And even though the chickens don’t like everything (orange peels), they still work it into the ground for me. Our biggest problem with the chickens is keeping them safe from feral animals. Thanks again! This article is a gem! We have our first batch of chicks coming next week and we will be putting this info to good use. I am especially glad to read the tips about using chickens in the orchard (and timing it well) and using chickens to till. 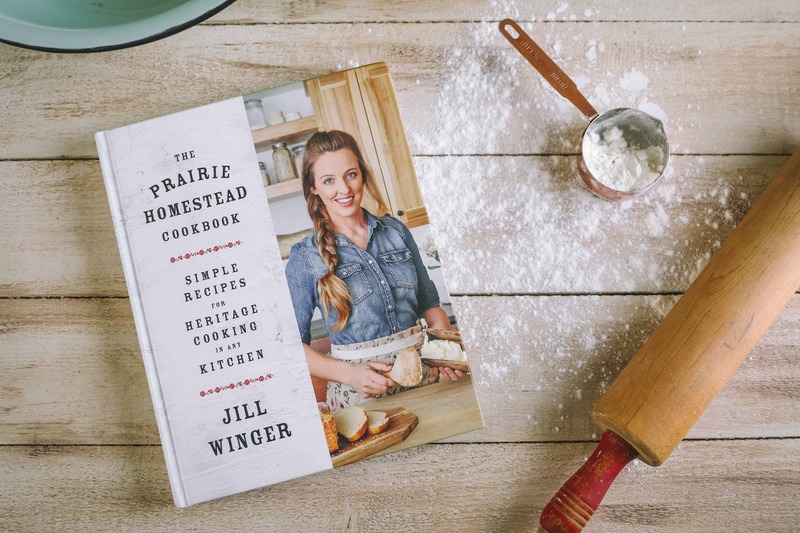 Perfect for our budding homestead! Can you be more specific about when to let them out in the orchard? When the flowers are in bloom? When the fruit is first starting to set? I have one peach tree that (when pruning this winter I discovered) is riddled with bugs. Yuck! Hi, how do you control your chickens from coccidiosis or other diseases and viruses when eating threw their own feces in a compost pile? I know you say to let itt warm up but I have found that my chickens get sick when eating out of my compost pile. Even after it heats up. Very nicely done. I am a big fan of putting our chickens to work to help out around the homestead that is for sure. 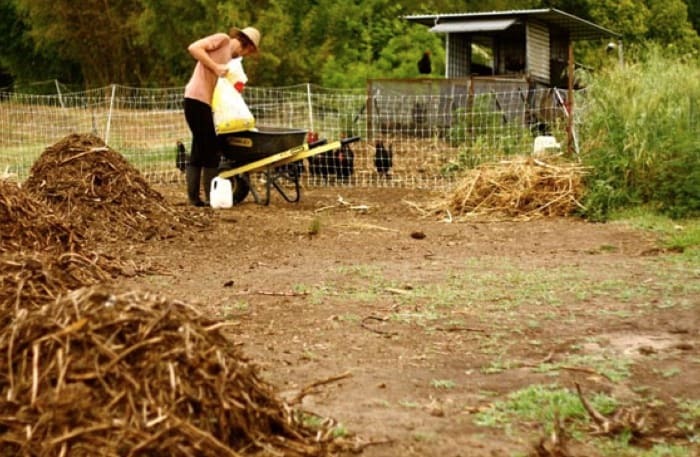 It is amazing how fast 30 chickens can break down compost and turn over a garden. It is a most wonderful thing. Thinking about them working around an orchard has made me no wishing I had an orchard of my own. I just have one apple tree, I would love to see how they would act in an orchard, so much fun to watch. Well thanks for the great article, very much enjoyed it. I have 12 hens in an enclosed run. I give them forkfuls of composte to keep them busy. I now have wonderful soil in the run that I can scoop out for the garden. We lost a young hen to a bird of prey a few months ago when she got out of the coop. I’ve been hesitant to let them free range. We have 10 acres, with 8 wooded, in North Idaho. I would love to let them loose into a new garden area I’m working. Suggestions for initiating free-ranging? I had a hen sneak off and hatch out nine chicks at the end of June. My garden was just coming in, and although I noticed NO baby grasshoppers out in the pasture surrounding my chicken yards (I have 30+ chickens…some free range), my garden was TEEMING with the little buggers!!! I grabbed up that hen and her babies post haste and put them into my garden. The hen couldn’t get out through my fencing, so her babies would stay in there with her…and not do hardly ANY damage to my newly emerging plants! You know what???? In two weeks I couldn’t find a grasshopper or any other bug in there! And I watched those tiny babies run under the bean leaves and peck bugs up where mama coudn’t go! It was AWESOME! Now they are out with the other chickens growing up big, but my garden is safe and sound! It worked out better than I could have dreamed! Must finish my chicken tractor! I will be looking into electric poultry netting as well! I Have a small city lot with a 600 sq ft garden. I have been considering a few chickens but fear my cat or other felines in the neighborhood will kill them. Is this a silly worry? My cat brought home a large woodpecker the other day. Although not as large as a full grown chicken, still big. He is kind of a badass cat. Does anyone else have these concerns? I know this is an old post but I’m interested in prepping my garden area this year with chickens. 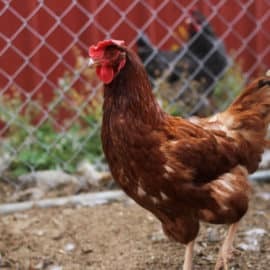 should I be concerned with salmonella or other pathogens from the chickens. can I plant right after the chickens have prepped the garden or do I need to wait a period of time before planting?